J Stamp & Sons was founded in 1946 by Jack and Ellen Stamp, working as french polishers and antique furniture restorers from a small workshop in the village of Drayton, situated in the Welland Valley. Prior to the Second World War, Jack had worked for a local business who were antique furniture dealers and restorers and undertakers in Market Harborough. As their young family of four children, Bill, George, Mark and Jane grew up, the business moved to various different locations in Market Harborough, before a move to their present address, 'The Chestnuts', in 1960. It was following the move to 'The Chestnuts', which at the time could only be described as a semi-derelict Georgian Hunting Lodge, that the business began as funeral directors. 'The Chestnuts' has made a wonderful family home and funeral premises. The whole family has achieved this through determination and a lot of hard work. 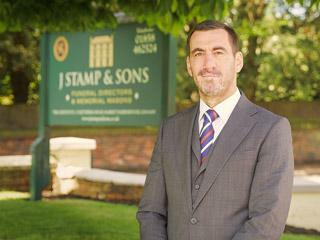 J Stamp and Sons is now into a third generation of 'Stamps' and there are three current directors of the business - Jonathan, Chris and David Stamp. 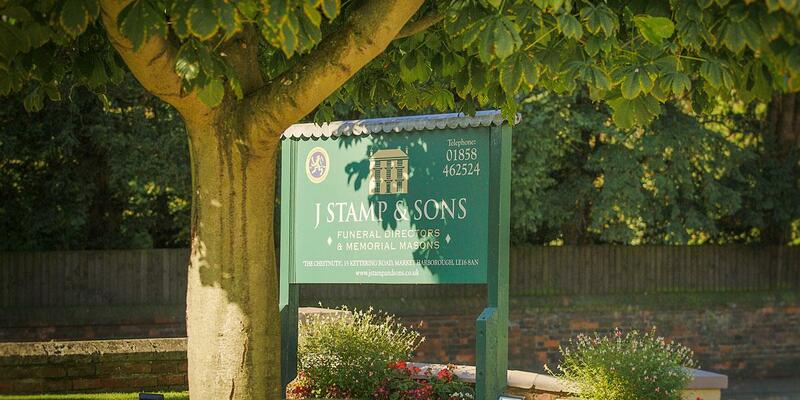 Our Funeral Directors are backed up by a dedicated and loyal team at J Stamp & Sons, a number of whom have worked within the business for many years. David joined the family business in 1997 following a career in Financial Services. 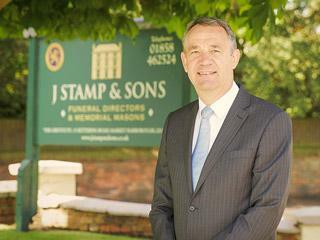 He is a third generation Director of the company and son of retired partner Mark Stamp. 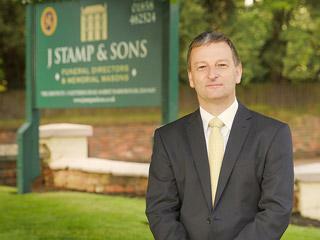 David takes an active part in The National Association of Funeral Directors (NAFD) at both local and Midlands area. He is also involved in education within the profession as both an examiner and more recently as an accredited NAFD Tutor. Locally, David has been a active member of St. Joseph’s Academy PTA, Market Harborough Squash Club and when time allows tries to find time for an occasional round of Golf! Jonathan joined the family business in 1997 after a career in Manufacturing Systems Engineering. 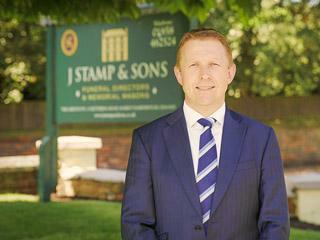 He is a third generation Director of the company and son of retired partner George Stamp. Jonathan is on the Board of Examiners for the National Association of Funeral Directors (NAFD) and held the position of Chair Person of the European group of Selected Independent Funeral Homes (SIFH) for 2017. Locally, he is Chairman of the Market Harborough Rugby Club and lead coach of their U18 Colts. He still tries to play rugby on the odd Saturday afternoon and also enjoys an occasional round of golf. Chris joined the family business in 2003 after a 20 year career as a Building Control Surveyor. He is a third generation Director of the company and son of retired partner Bill Stamp. Chris has been involved locally on the Market Harborough Chamber of Trade and also as a School Governor. He enjoys mountains, both walking up them and skiing down! 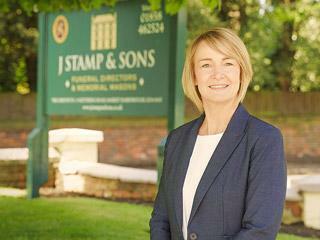 Alison joined the family business in 2004 after a career in the legal profession and sales. 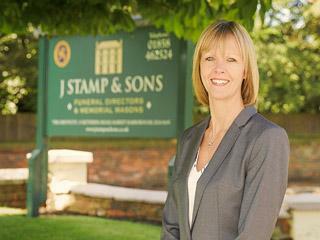 She is a funeral arranger within the family business and daughter of retired partner Bill Stamp. Mark is Operations Manager and Funeral Director and joined the company in 2013 following careers as an Electrical Engineer and Driving Instructor. Mark is Vice Chair of the Northants Local Association of Funeral Directors and in his spare time enjoys walking his dogs, golf and squash. Wendy is a Funeral Director who joined the company in 2015 following relocation to the area. She has over 25 years experience within the profession, previously working for two independent family businesses in the West Midlands and also for 2 years as a Funeral Director in Australia. When not working, Wendy enjoys cycling and loves to travel.